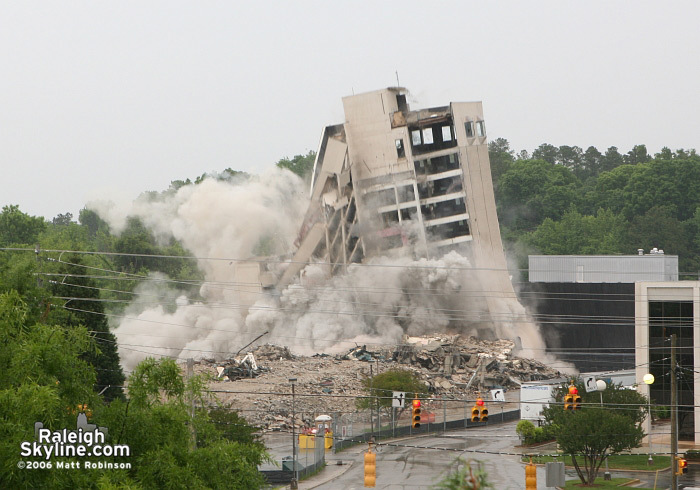 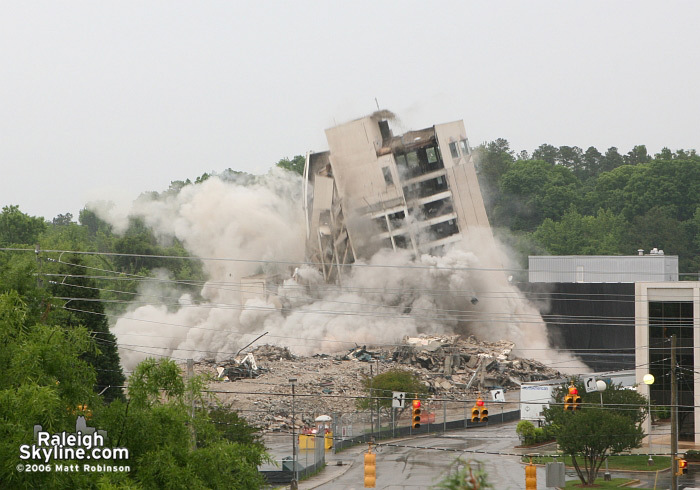 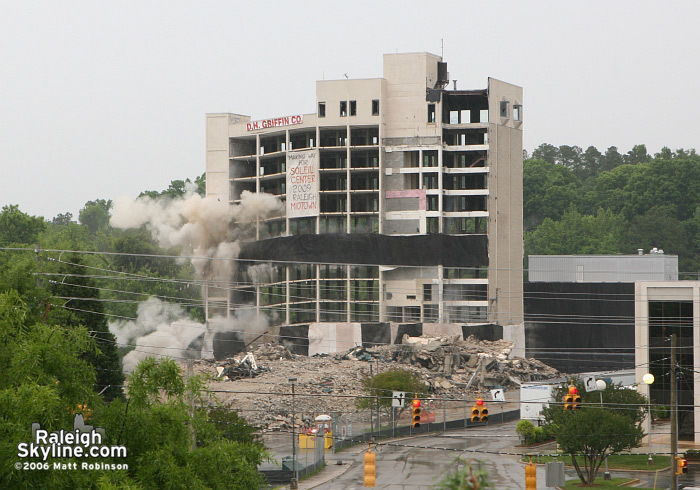 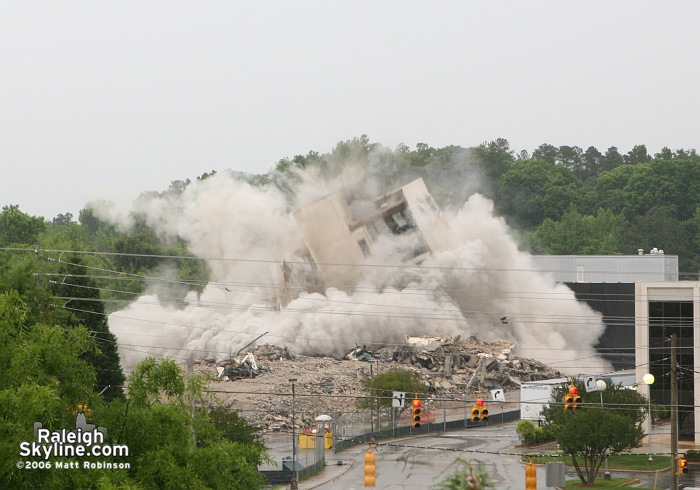 The former Sheraton/Clarion Hotel at Crabtree Valley in Raleigh, North Carolina was imploded to make way for the new 480 foot, 47 story skyscraper called the Soleil Center. 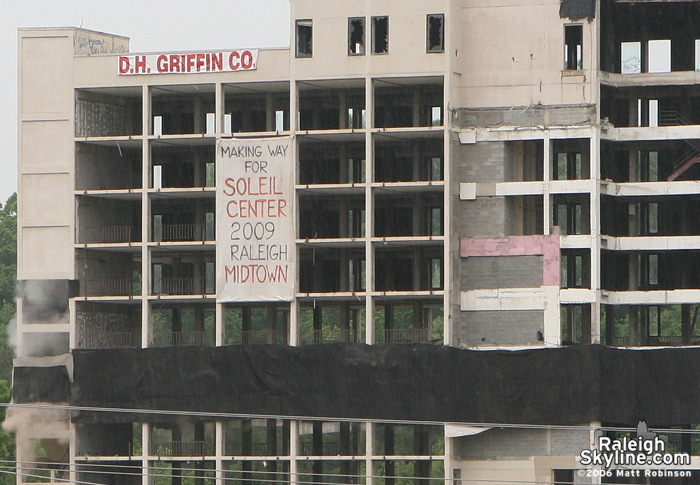 This occured in the drizzling rain among a large crowd scattered among various vantage points at 7:30 AM on May 7th, 2006. 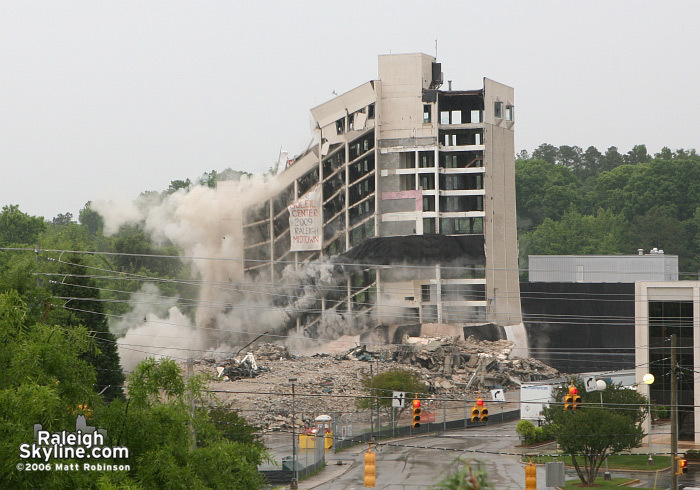 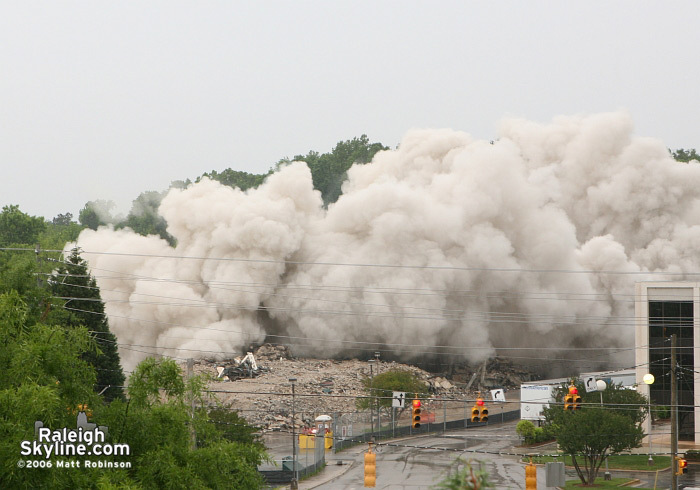 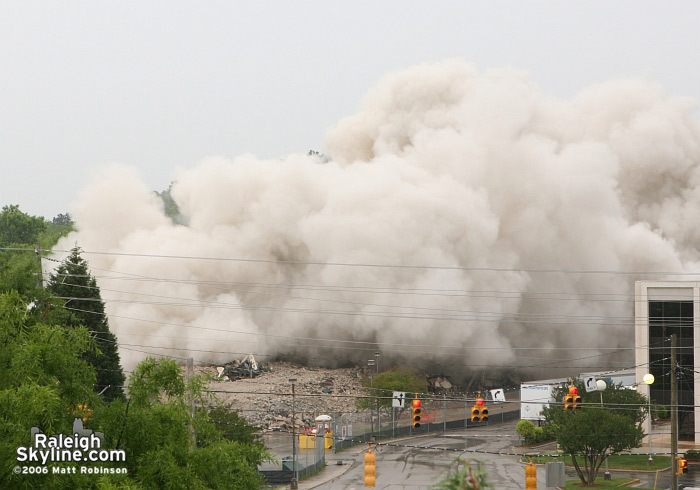 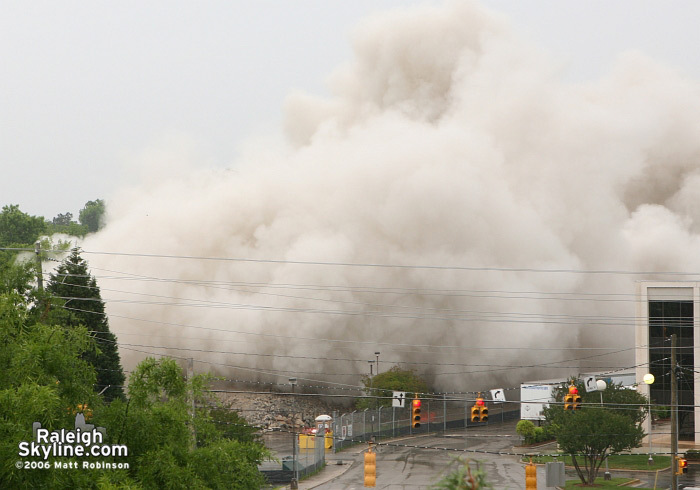 The building implosion and demolition was performed by D.H. Griffin.